This year I’ll be celebrating my first Mother’s Day as a mom, and I am beyond thrilled to finally reach this moment. I spent many Mother’s Days hoping to be a mom, and this year I’ll get to spend the day hanging with my amazing son, which makes my heart so full it might burst. Being a mother these past 11 months has been the most amazing experience of my life. Everett is hilarious— a total ham that shrieks with laughter and punctuates our days with chortles and joy. There have, of course, been some rough stretches (I’m looking at you, four month sleep regression), but in the year since I toasted my first “almost Mother’s Day” last May I’ve grown exponentially, and every inch of that has been with joy, love, and gratitude. I must have made a lot of comments about missing tequila when I was pregnant because when Everett was approximately 18 hours old Dan brought me my first postpartum margarita. It was light on the tequila and served in a glass that said “turnt” and it was absolutely perfect. 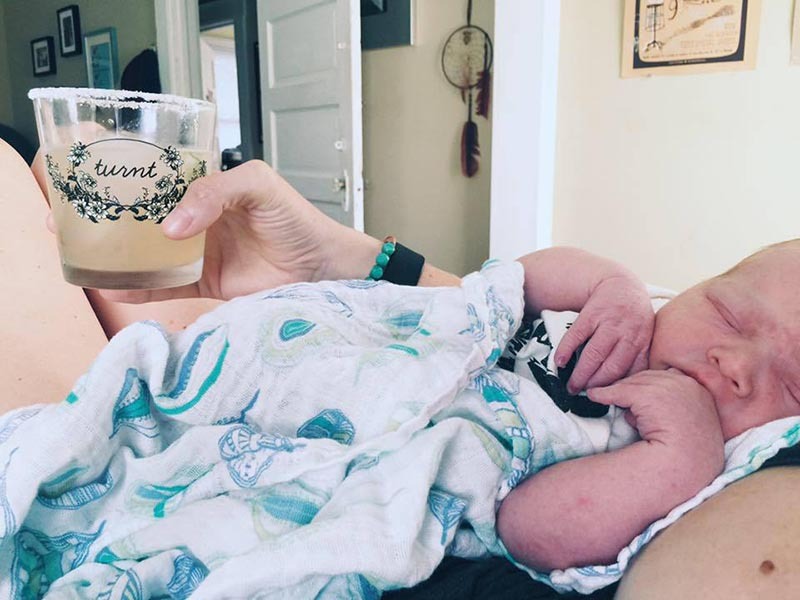 I sipped it, careful not to spill salt on my sleeping newborn’s head, and reveled in how much had changed since the last time I’d had a margarita. 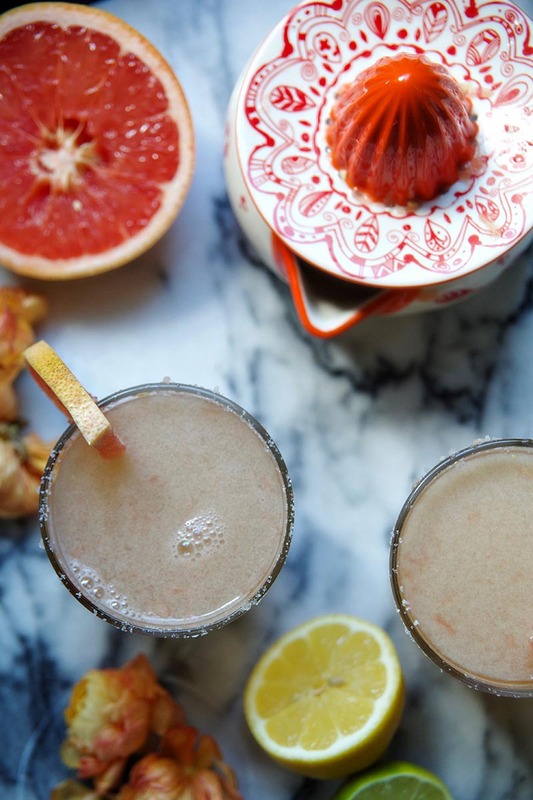 When I started planning a brunch for this Mother’s Day, I got stuck on the idea of a sparkling grapefruit cocktail, partially because I ate a lot of grapefruit when I was pregnant (like, one a day). 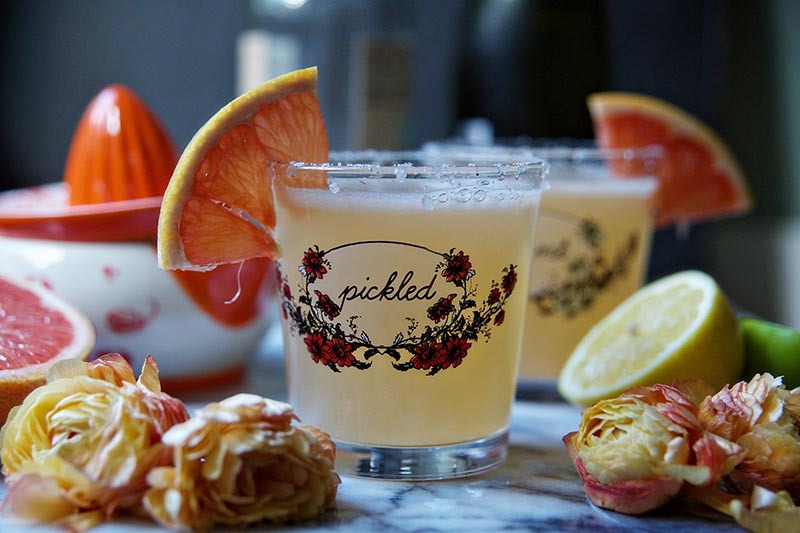 I played around with a few different ideas, but ultimately settled on a Paloma- the grapefruit cousin of the margarita. 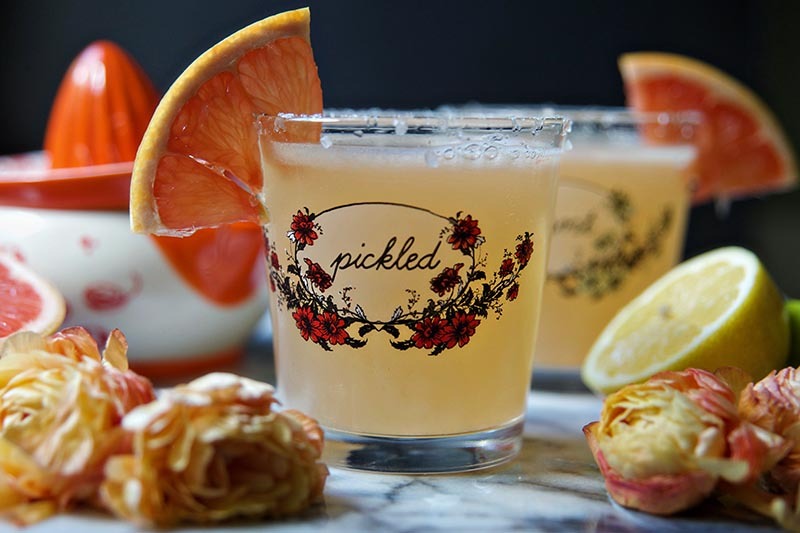 A combination of grapefruit, lime juice, lemon juice, simple syrup, tequila, and a dash of prosecco for sparkle, it’s a lovely and refreshing cocktail. This Mother’s Day I hope you’ll join me in toasting all moms- those who bore us, those who raised us, those who shaped us. I wouldn’t be where I am today without a number of strong women, and this Mother’s Day I’ll celebrate all of them. I’ll also be sure to raise a glass to myself, because motherhood is no easy task, though it is the most incredible blessing. 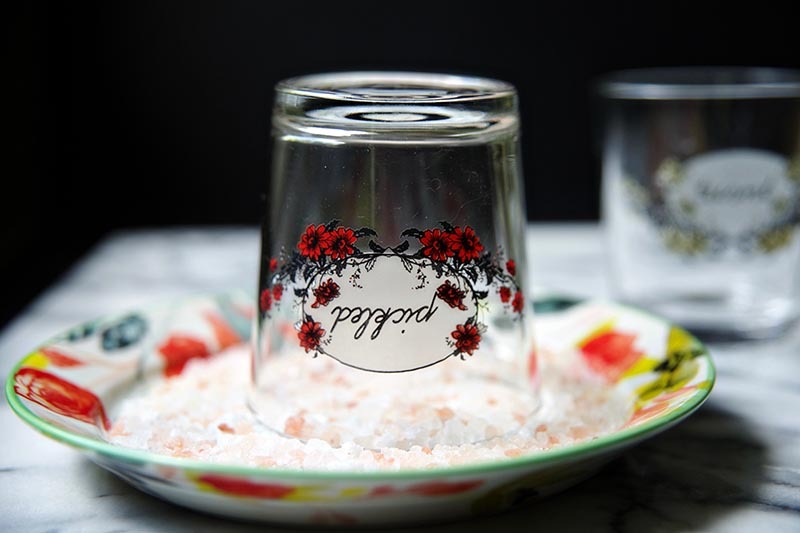 To salt rim your glasses, spread salt out flat out on a plate. Dip both glasses first in water, and then in salt. In a mixer combine tequila, fruit juice, simple syrup, and ice. Strain and divide between glasses. 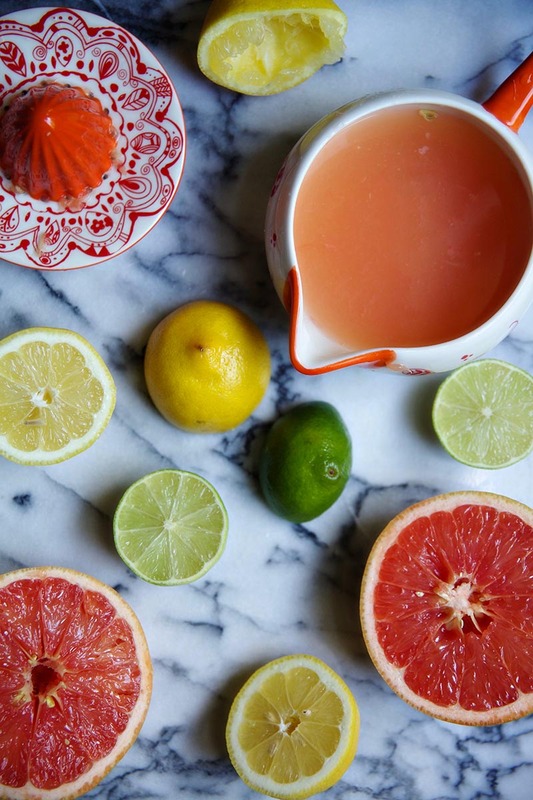 Top each glass with prosecco and a wedge of grapefruit. Serve and enjoy! Combine sugar and water in a small pot. Simmer until sugar is completely dissolved. Allow to cool and incorporate into cocktail as instructed. Simple syrup can be stored in the refridgerator for 1 month. 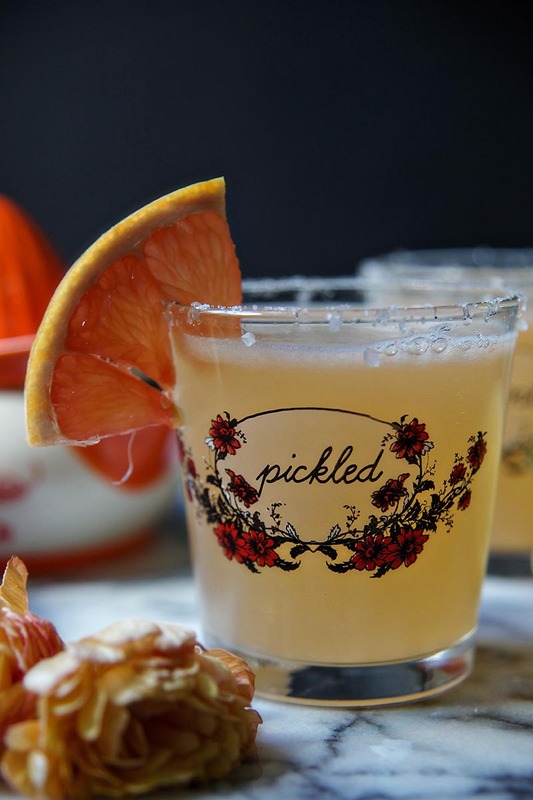 This cocktail is straight up my alley! And I have to ask, where did you find that adorable juicer and pitcher? It’s from Anthropologie one zillion years ago!